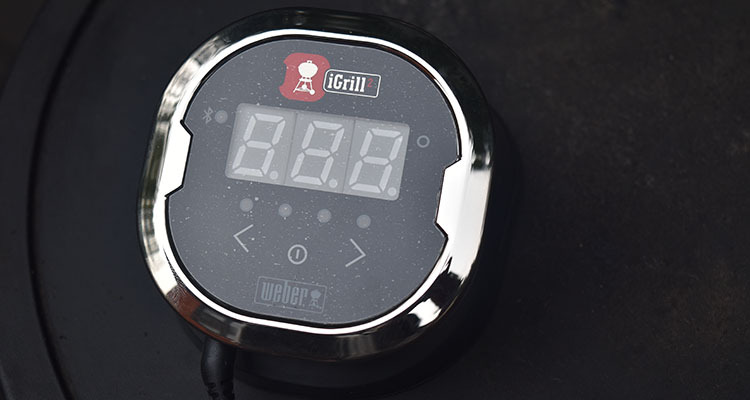 You can’t talk about Bluetooth meat thermometers without mentioning the iGrill 2 by Weber. It’s at the top of every list for best Bluetooth thermometer (including our own). But does this thermometer deserve it’s title? Or is it just a case of Weber market dominance. In this detailed review of the iGrill 2 we look at the pros and cons to decide if it’s worth spending your hard earned dollars on. 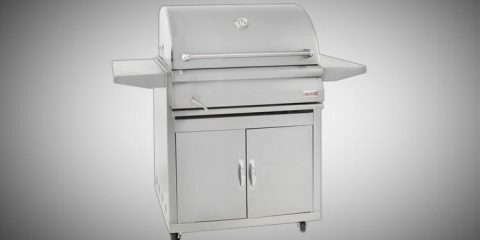 How accurate is the iGrill 2? Should you buy the iGrill 2? If you’re not familiar with Bluetooth thermometers don’t worry. You don’t have to be a tech geek to understand how they work. 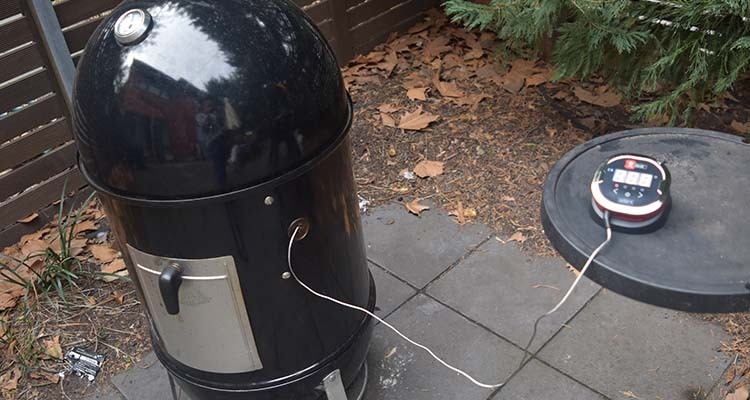 Rather than using radio style WiFi technology to display temperatures on a physical receiver, the iGrill 2 uses Bluetooth to connect to your phone or tablet so you can view the temperature of your smoker or grill and what you’re cooking. 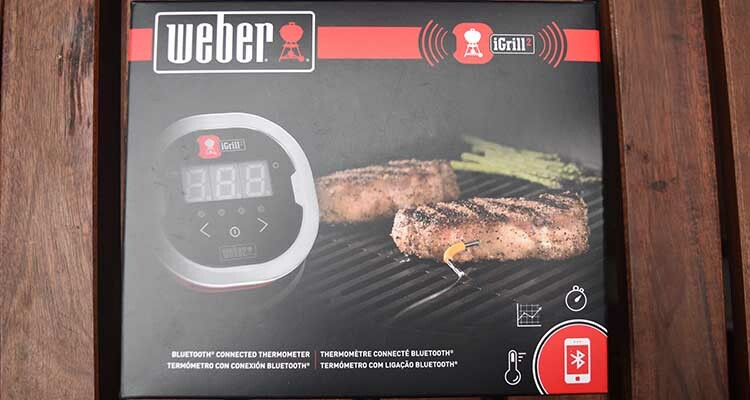 Weber actually purchased the iGrill 2 from a company called iDevices a few years ago. While the thermometer is still very similar, they’ve been busy improving the companion app. The iGrill app is now one of the best around, and has some very handy features including the ability to give each probe a nick name (e.g. 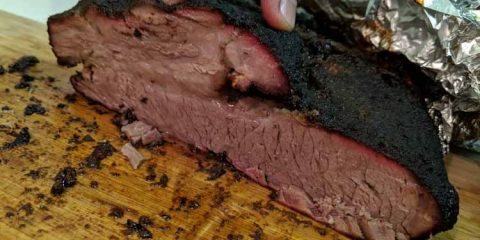 pit, brisket). We’ll delve more into the app features in a bit. 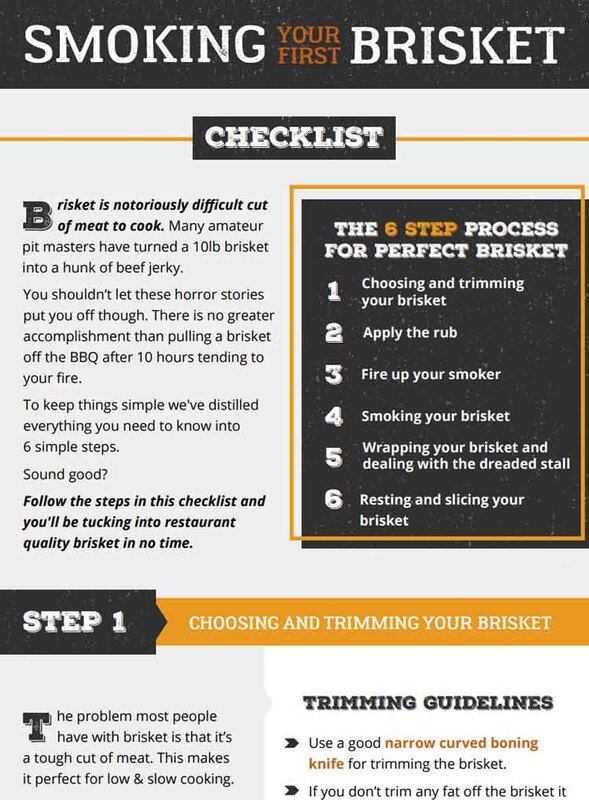 When you order you can choose between a package which includes 2 meat probes or the complete iGrill starter kit which includes the two meat probes and an additional ambient probe). You can order individual iGrill probes off Amazon as well. Every Bluetooth thermometer we review seems to have a reputation for limited range and connection problems. And the iGrill 2 is no exception. Thankfully most of the issues seem to have been ironed out by now. This can be seen by the ever increasing feedback and rating in the app store where the Weber app has a 3.7 / 5 rating. After acquiring the company from iDevices Weber have completely rebuilt the app from the ground up so if you are reading a review from a few years ago they might mention some issues that were totally valid then, that are no longer case. After cooking with the iGrill 2 a few times, here are our top impressions. Really nice app experience – I found using the app very easy and enjoyable. The pairing process was painless and the interface for setting up a cook was very straightforward. 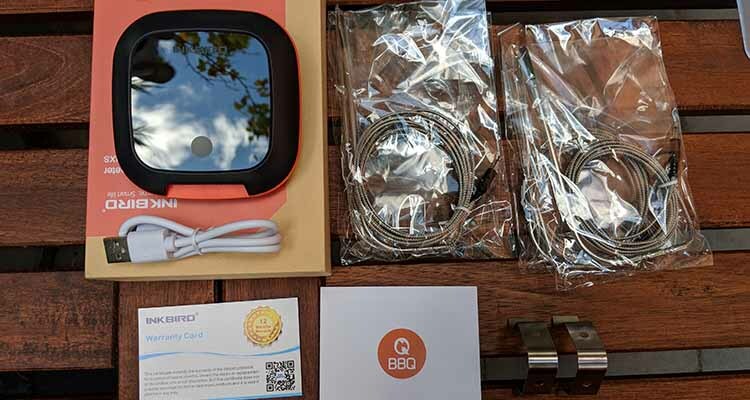 Fairly reliable Bluetooth range & fast pairing – It only took a few seconds for the iGrill 2 to connect to my phone, once connected I didn’t have any trouble with signal loss. Four probe capacity – While I only bought the two probe package, it’s nice you have extra capacity if you need it. 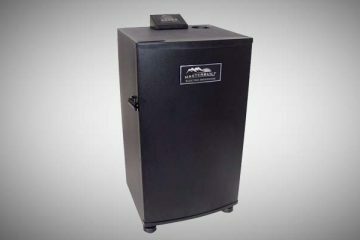 If you had two smokers next to each other or just cook a lot of food at once this is essential. Range can be an issue – This wasn’t a problem for me, but some people report signal dropping way under the advertised 150 ft range. This could be due to lots of factors including your house building material and layout. Data lost when disconnected – If you walk to far away from the transmitter and the signal is lost, you lose the graph displaying the temperature over time. Would be nice if it could restore the data after you reconnect. 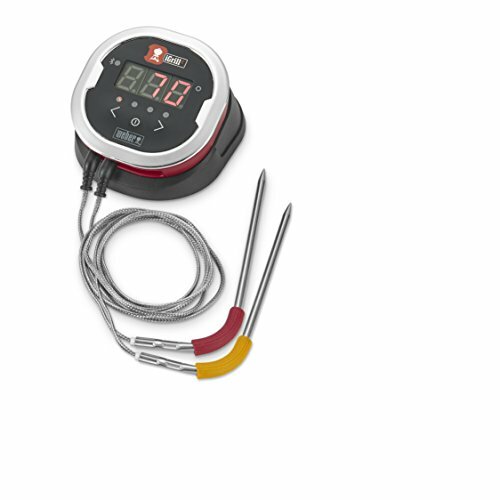 So long as you don’t need to walk too far away from your grill or smoker the iGrill 2 is a great thermometer anyone who likes to have the latest tech, or anyone who wants to be able to checking temps on your phone. Click here to get the latest price from Amazon. The iGrill 2 ships in a sturdy box with lots of glossy Weber branding. Inside the box everything is nicely packaged, including the batteries and probes neatly wrapped up in protective casing. I decided to buy the 2 probe package, but you can opt for the 4 probe option if you prefer. Or you can buy individual probes separately. The iGrill will work fine without using the Bluetooth features. The base unit is basic, but it does display the temperatures. But it would be a waste to spend this much and not use the features in the app. Unlike a regular WiFi thermometer you don’t get a receiver. That’s what your phone is for. It’s nice that they included the batteries, although I do prefer that I can charge my InkBird IBT-4XS via USB cable. The quick start guide provides some helpful guidance for installing the app and getting started. There’s no big surprises in terms of specs. The max heat resistence is on the high side, so if you are worried about your grill running hot and frying your probes you don’t need to fuss. You should note that the range is always “best case” and can be a lot less depending on your setup. Luckily you don’t need to be a tech wizard to setup and use the iGrill 2. The quick start guide that is included provides a rough overview of what you need to do. Separate the iGrill 2 from its base by firmly holding the base with one hand and gently pulling the iGrill 2 top upwards with the other hand. On the underside of the iGrill 2, press down and remove the battery door. The two AA batteries that are supplied with your iGrill 2 should be inserted with their negative terminals compressing the springs. Replace the battery door. Press the power button located at the bottom of the faceplate between the < and > buttons for two seconds. 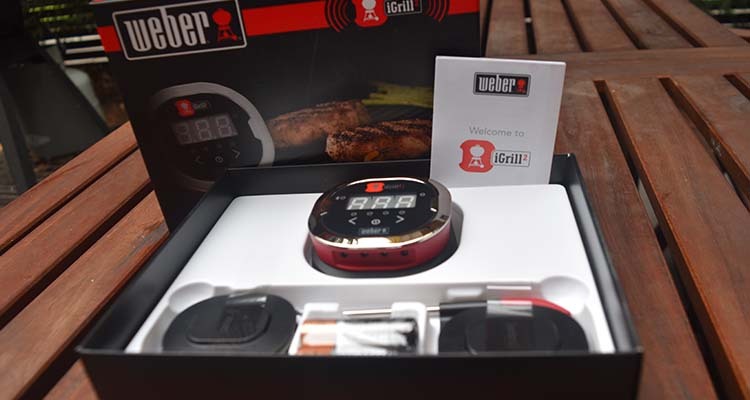 The unit will display “On”, animate and a single beep will sound, indicating that the iGrill 2 has powered on. Open the Weber iGrill App to connect to your iGrill 2. Tap on the white iGrill logo in the black toolbar at the top of the app. Select your iGrill 2 from the ‘Available Devices’ drop-down. Once you have powered on the iGrill and connected it to your phone you’ll go to the home screen where you have a bunch of options. The most obvious is the big “Start barbecuing” button. 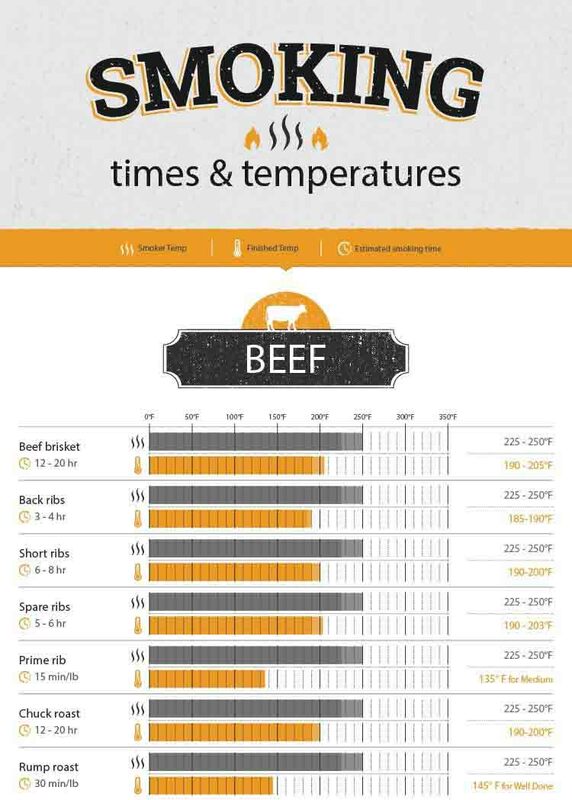 If you click on that it takes you through a simple process where you choose if you are measuring food or barbecue temperature. If you are choosing food you can select from a bunch of presets, or customize your target temperature. I usually prefer to set my own temperatures to my liking. 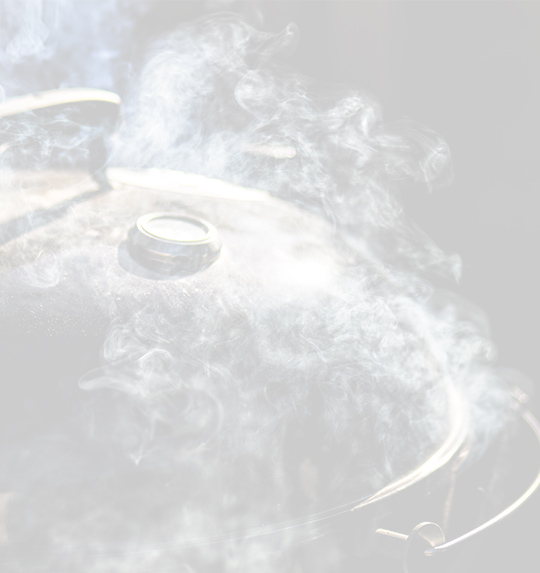 If you’re not sure what temperature to use you might want to check out our smoking time and temperature guide. Actually viewing your temps is quite nice. There’s a large graphic showing the current temp and your target, with a colorful graphic that estimates how far through the cook you are. You can also switch to graph view, edit the cook to change your target temp or end the cook. You also have the option to set a ‘Pre-Alarm’ notification. For example if you want to know if your food is getting close to done you can get an alarm and start checking up on it. Identify each probe using the color, and then rename them to whatever you want. I thought I had to address the possible issues you might find with the app. If you look at reviews around the web you can see two common issues. Now I can say that I didn’t personally experience either of these issues. From doing some research the most likely causes of problems are caused from having out of date software on your phone. In those cases a software update should fix your issues. The other issue is poor signal. 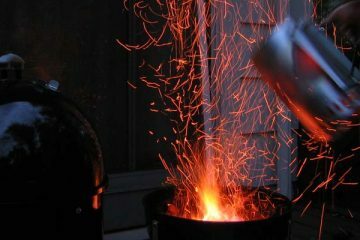 This can be due to the building material of your home, and how many walls are between the Igrill transmitter and your phone. Then you also have people complaining about issues with the app from several years ago. The problem with this is that Weber have released lots of fixes and updates to the app, so what effected someone 3 years ago might not effect you. Weber claims an accuracy of within 1°F. When I tested it with the super accurate Thermapen, we found the iGrill 2 recorded temperatures very accurately. There was usually no more than 1-5°F difference. It will take 10-30 seconds to reach accurate temperatures when the probe goes from air temperature to inside the meat or grill. If you definitely want a Bluetooth meat thermometer, the best alternative you should consider is the InkBird IBT-4XS. We named the InkBird our best budget Bluetooth thermometer. If you want to save money it compares surprisingly well to the more expensive Weber. Both thermometers come come with either 2 or 4 probes, and they share the same range of 150ft. The probes on the InkBird are longer which gives you a bit more flexibility for where you place the transmitter. I also like that the InkBird can be changed with USB cable instead of batteries. Although the battery life is much better on the iGrill at 200 hours compared to 60 hours on the InkBird. I would have to give the App advantage to the iGrill 2 though. The interface feels little bit more polished. With double the warranty and a slightly better app, the main difference comes down to branding. Weber definitely gets the edge here with an excellent and long reputation for providing great customer service. 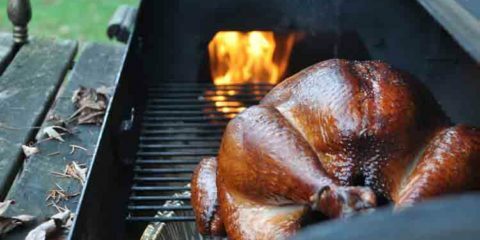 If you’ve seen the iGrill 3 advertised you might be confused why we named the iGril 2 our best Bluetooth thermometer. While you might expect this to be an improved version of the iGrill 2, it’s actually only compatible with their range of Genesis II and Spirit II gas grills so you should ignore it unless you have one of those grills. It’s a strange and confusing naming choice by Weber. I suppose they wanted to make people that buy their range of grills feel a little bit special by adding an extra number. 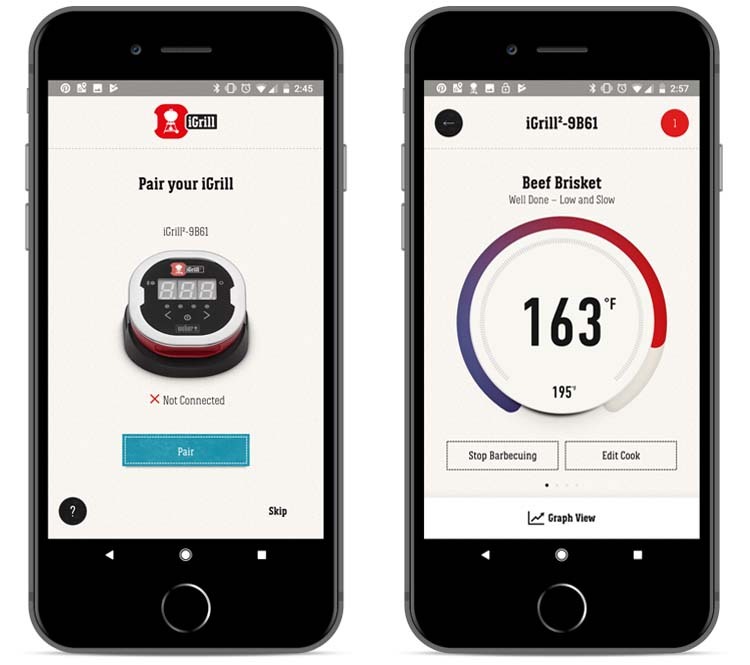 If you want to view your temperatures on your phone, then the question really comes down to the iGrill 2 vs the InkBird IBT-4XS. If you value customer service, length of warranty and want the best app experience possible then I would recommend you buy the iGrill 2. The accuracy, response time and app all make this an excellent grill thermometer. You can get the latest price on Amazon.